It also means that, in just a few short days, some of us will get visits from that merriest of souls, Santa Claus – or, as I like to call him, Stalker Claus. 1) Pop culture myth states the Coca-Cola invented Santa Claus as we know him today – the fat, bearded, jolly elf-creature with the alcoholic-red nose and the cheerfully enabling wife. This, however, isn't true. Our modern Santa Claus is the creation of two men, Clement Clarke Moore and Thomas Nast. Moore was an Episcopalian minister. 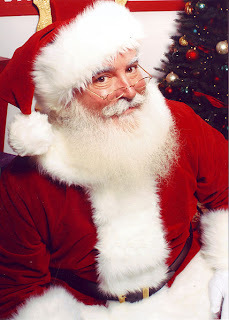 In 1822, he decided to amuse his children by writing the now-famous Christmas poem, “An Account of a Visit from St. Nicholas,” also known as “The Night Before Christmas.” The popular image of Santa Claus as an supernatural entity capable of zipping up and down chimneys and visiting every single child in the world in one night originates from this poem, which Moore, fearing death from embarassment, almost didn't publish. With a face like that, I'm not surprised. Moore's poem also gives us the concept of the flying sleigh, the original eight reindeer, and the long-suffering Mrs. Claus. 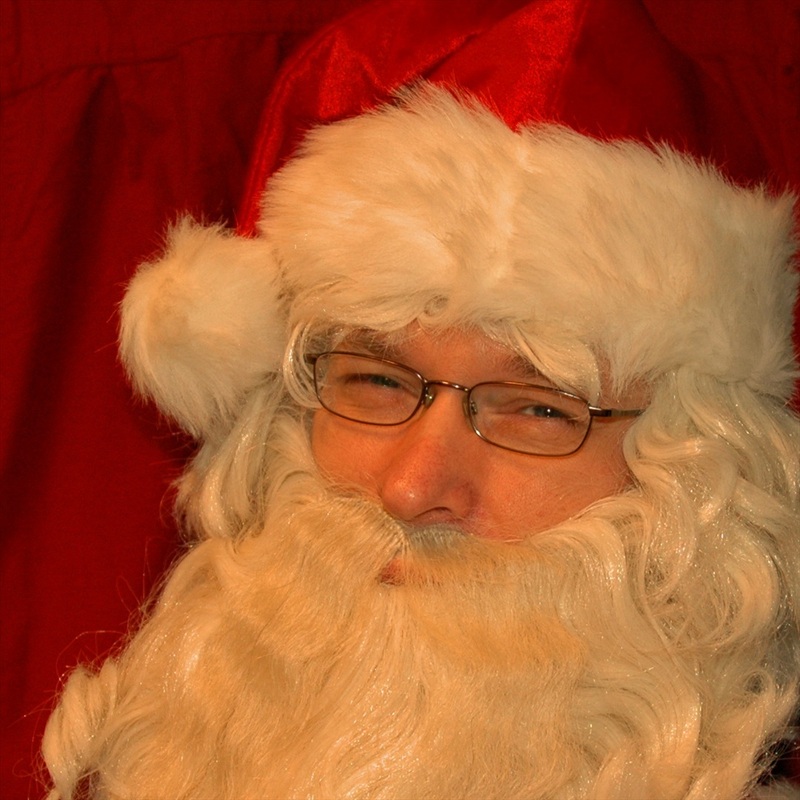 Prior to the 1820s, Santa Claus was a confirmed bachelor. Thomas Nast, an American political cartoonist, did his part in 1881 when he drew the first modern depiction of Santa Claus. Nast's cartoon depicted Santa with his big white beard, his red, fur-trimmed suit, his workshop at the North Pole, his elves, his sack of toys, and his wife. 2) Rudolph the Red-Nosed Reindeer is a more modern addition to Santa's entourage. 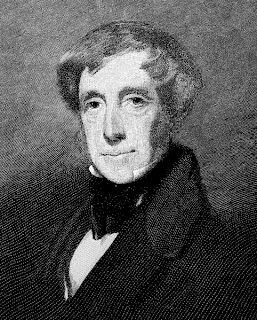 Moore's 1822 poem names only eight tiny, aerodynamic reindeer. Poor, beleaguered Rudolph didn't come along until 1939, when Robert L. May, a Montgomery Ward copywriter, wrote the poem as an advertising gimmick. May's gimmick proved so popular that the 1939 edition sold 2.5 million copies. A 1946 reprint sold more than 3.5 million copies. To date, the poem has been translated into 25 languages, and serves as the basis for the popular television movie, which has been aired yearly since 1964. 3) Most historians that the man who started it all, at least in American culture, was born in Turkey in about 280 AD. His name was Nicholas, and he loved God so much that he eventually became a bishop, and later, a saint. His relics can be found at the Basilica di San Nicola in Bari, Italy, where they were interred after being stolen from their original Turkish location in early 1087. "We shall honor this man by stealing his bones. Thus sayeth the Lord." 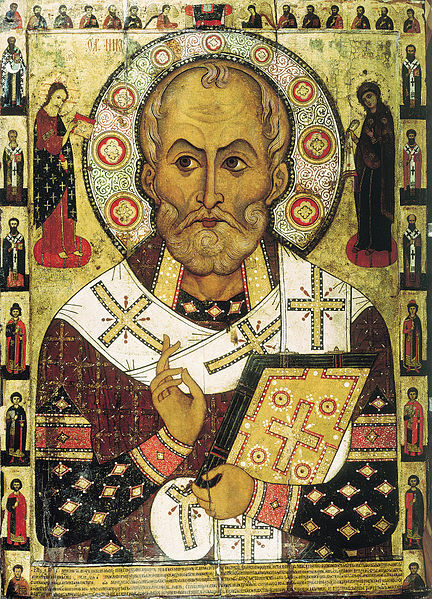 Saint Nicholas was revered for his good works and general holiness. Legend has it that Nicholas who was born into great wealth, traveled the country, distributing money to the needy. In one famous legend, Saint Nicholas came upon the home of a butcher who had murdered three children and was curing their flesh to sell as ham. Not only did Nicholas expose the murderer, he used his prayer-powers to bring the children back to life. I dunno, he looks pretty shifty-eyed to me. In another legend, Saint Nicholas heard of a poor man whose three daughters would soon be forced into prostitution, since there was no money to give them dowries. Saint Nicholas came to the man's house in the middle of the night and tossed a sack of gold through the window. The next night, he returned with another sack of gold. On the third night, Saint Nicholas caught wind that the man, now curious to know his benefactor, would be lying in wait outside the house. Saint Nicholas, not wanting to reveal his identity, crept up onto the roof of the house and dropped the third sack of gold down the chimney. 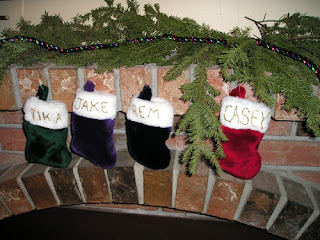 It landed in the third daughter's stocking, which had been hanging over the embers to dry. 4) The first man to dress up as Santa and sit in a department store was James Edgar. He did this in 1890, in his Brockton, Massachusetts dry goods store. Edgar had to have his Santa costume specially made, and he didn't just sit around the store, either – he got out there and wondered the streets, dressed as a fictional character. Edgar's gambit really paid off, though – word of the “Santa” in Brockton spread like wild fire and soon parents from all over the state were begged and wheedled into hauling their kids to Edgar's store to see the “real” Santa. Today, you can find a dude in a stained costume sitting in every mall and department store in the country around Christmastime. If you're a Santa and you take your duties seriously, you can go to the International University of Santa Claus and get a Master of Santa Claus. Like this guy, Jonathan Meath. He has a degree in Santa. I want to add to you Santa Facts. Did you know that most all male reindeer loose their antlers in the fall? That means all the reindeer pulling Santa's sleigh are girl reindeer. I think it's safe to assume the kids were eaten and ended up prostitutes in those days. The whole Santa thing is just weird. Last part of your post made me think of my Grandpa who always dressed up as a santa and made a lot of people very happy, I don't think I worked out who it was till I was about 8 or 9. Thanks for the facts and bringing back some family memories Marjorie. I was raised without Santa, that's what you get for having hippie parents. Thanks for commenting, you guys.